The saying “Something Old, Something New, Something Borrowed, Something Blue” is a good luck saying which dates back to the Victorian era and many brides will ensure that they have something of each on their wedding day. While “something old” is meant to connect the wedding to something in the past, and “something new” is meant to represent good luck and success, somehow the saying seems to apply extremely well to wedding videos. 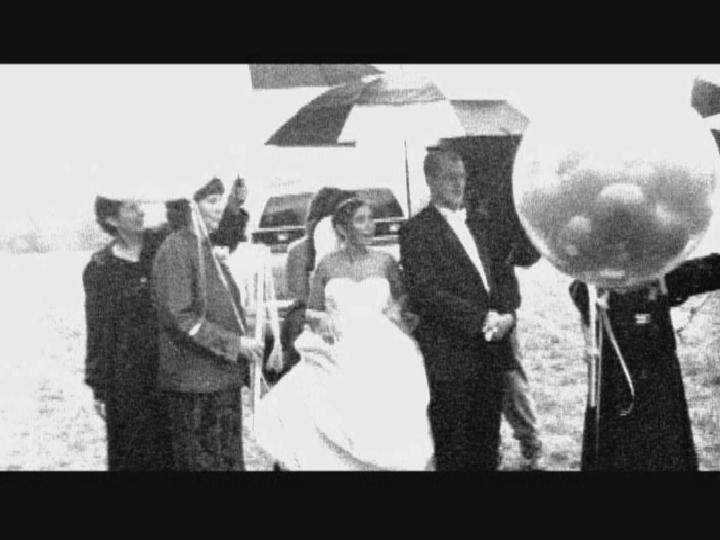 Weddings shot on Super 8 film bring that vintage look that connects you to past, yet still maintain the timeless and fresh impression of the modern bride. While the brides of the 80’s and 90’s were all about being shot on video, the past 10 years have shown a huge resurgence toward creating montage wedding footage on Super 8 film. Maybe nostalgia is the driving force in this new twist. Or maybe part of the reason for this resurgence comes from the greatly expanded repertoire of film stock in the market. 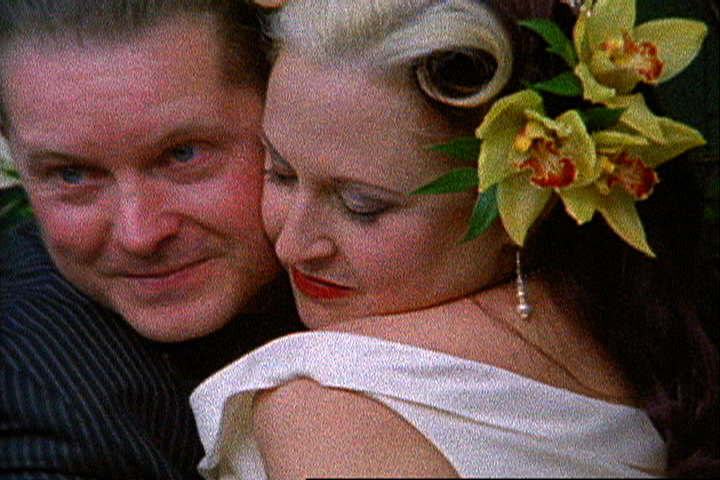 But with tough competition from digital choices, super 8 wedding films today have definitely gone boutique. I remember exhibiting at WEVA about 7 years ago (Wedding and Event Videographers Association.) At that time there were only a tiny handful of attendees who had any interest in adding a Super 8 package to their weddings. The idea seemed daunting and counter intuitive to the masses, and many had just invested heavily in the newest technology at the time, the digital video camera. There were laundry lists of concerns coming from the filmmakers when I tried to explain to them why they should shoot on Super 8 film instead of digital. I would hear questions like: How do I price it? How will I know if I got the shots? What about sound? How do I edit it? What’s the turn around time? What’s the point? Like all great ideas, sometimes it takes a little notoriety for an idea to catch on. 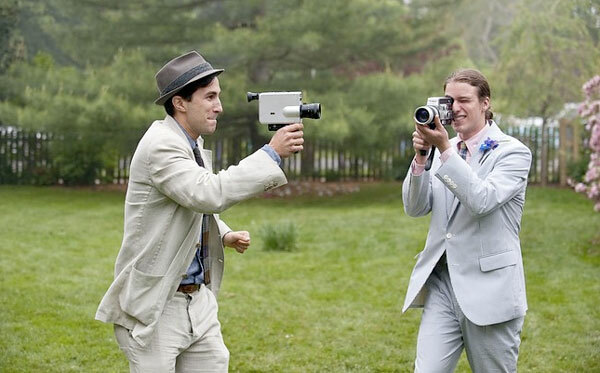 A number of wedding filmmakers who shot on Super 8 film are now regularly featured in The Knot, Martha Stewart Weddings, Elle, Brides Magazine, The Wedding Channel, and the wedding forums and blogs for their gorgeous, timeless work shot on Super 8 film. There are many reasons why these popular wedding photographers and “videographers” are choosing to shoot on film vs. digital. First of all, film is the only proven archival medium. We know the image will still be here for future generations to enjoy. Next, the film stocks are remarkable. Since Pro8mm invented Super 8 negative film over 15 years ago, the expanded latitude allows even a new filmmaker to achieve gorgeous shots. We especially recommend the Pro8/19. This is a 500 tungsten Vision 3 stocks that is so versatile. You can go from indoors to outdoors without a filter and still get clear, amazing images. For those who braved shooting weddings years ago on old film stocks like Kodachrome 40, the challenge was difficult. You would have to use an 85A filter outdoors if you were shooting the ceremony in full sun. You would then have to set up lights if the reception was indoors, and the low-lit dance floor was always a problem. Combine that with about 1 stop of latitude and you had to be pretty good with a camera to get good images. Today Super 8 film ranges from 50 to 500 ASA with stocks that have up to 19 stop of latitude and 3 uniquely different film processes: color negative, color E-6, black and white reversal. Because today’s Super 8 film has greater latitude, expanded ASA’s, a variety of original stock to pick from, and you can even scan Super 8 film to HD directly, shooting Super 8 film is easier and more aesthetically beautiful than ever. There are also some special lab techniques such as cross processing, skip beach, pushes, and pulls that create tremendous variety in origination. On average a good shot lasts for about 10 seconds so even on a budget, you have lots of shots to work with. Although that may sound intimidating to the hours of video that could be shot for a similar amount of money, the uniqueness of having real film adds a great artistic addition in quality that no plug-in can match. It is almost impossible to replicate a films unique way of capturing light therefore no plug-ins or app can replicate the look of real film. Pro8mm has been crusading for the momentum of this growth in the wedding market by making pricing easy. Our all-inclusive fixed price packages (film, processing, prep and clean and scanning to a Pro Res file) allow for easy calculation to add a Super 8 option. For example, a 4-roll package (10 min of film) is just $336. An 8-roll package (20 min of film) is just $558 That’s for everything except the hard drive. Weddings are a great format to experiment with because they personify originality and nostalgia. This generation was raised on MTV and nothing makes a young couple happier then to look at their wedding more like a music video rather than hours of footage that captured every second of the day. It is the highlights we remember, and Super 8 is the perfect format to capture a medley of moments. Phil Vigeant is the President/Senior Colorist at Pro8mm. 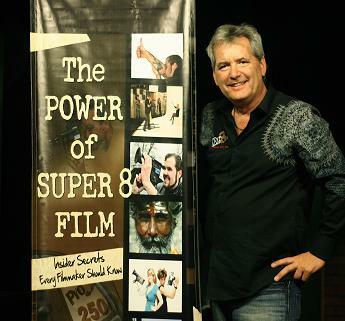 He is the author of “The Power of Super 8 Film – Insider Secrets Every Filmmaker Should Know.” He was worked on thousand of Super 8 projects for production and archiving including Music Video’s for client such as Madonna, Beyoncé, Katy Perry, Paula Abdul, Mariah Carey, Neil Young, Aerosmith, Black Eye Peas: Commercials for Nike, Billabong, Volcom, Fossil, Blue Cross, Truth in Advertising, and Television for shows like, American Idol, 48 Hours, Mad About You, National Geographic, Histories Mysteries and over 50 Feature Films that have used Super 8 film such as Super 8, 8mm, JFK, Factory Girl, My Sisters Keeper Lords of Dogtown , Red Corner, Armageddon and Pearl Harbor. All Super 8 films come in a 50 ft cartridge. Pro8/19 is a color negative film stock however, where as Ektachrome 100D is a reversal. Color negative film stocks have a lot more lattitude. For example the 19 has 13 stops, and the 100D has only 3 stops. Color Negative film must be scanned in order to see the film image. You can see samples of all our stocks, along with descriptions for the best shooting conditions, at http://www.pro8mm.com, and go to products, super 8 film. Hope this helps!